Smoothing treatments often seem too good to be true, particularly if you've had issues trying to do things like relax your hair before. But smoothing treatments aren't relaxers. Still, they claim to be safe, non-damaging products that make hair less frizzy, curls more manageable, and flat ironing safer and easier. This product infuses amino acids, proteins, silk, and pearl into the hair of whomever gets it, which results in healthier, stronger, smoother, shinier hair. Your professional stylist will initially perform a consultation surrounding your hair, and determine which smoothing formula (or combination) is best suited for your hair type. Choosing the right stylist to perform this service is as important as picking the right product. Ask your stylist if they have attended a class on the treatment process. If they haven't, ask them how many times they've performed the treatment before. Classes are available, but not required, to use it. If your stylist is "winging it," your hair will pay. Your stylist should ask you a series of questions about your hair before performing the treatment. They should know your chemical service history, and you should be very honest about any previous services that have been done on your hair. 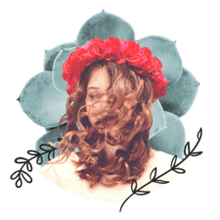 Previous treatments or chemical services will not likely result in not getting the smoothing treatment done, but they could alter the product formulation chosen for your hair. Next, without rinsing the product out, your stylist will blow your hair out using a hairdryer and ceramic round brush or a paddle brush. These particular tools are important for setting the smoothing product into your hair. Your hair will be flat ironed at 410 degrees to cure the product into your hair with a CHI 4-button flat iron. Each 1/8-inch section of hair should be flat ironed five times during the process. Your stylist may use a few drops of a smoothing serum after flat ironing to add shine and manageability. Now, you'll be free to go home—until the next step. You want to leave your hair down for the next 24 hours, without headbands, hair ties, or even sunglasses to hold your hair back off your head. Your hair might feel a little weird, kind of like forgot to rinse the conditioner out of your hair. This feeling is perfectly normal and could vary based on your hair and your stylist's skill level at applying the product. If you're comfortable flat ironing your hair thoroughly and own a CHI flat iron, you can do this step at home. If you're less than handy with your blow dryer and flat iron, have very thick or coarse hair, or do not own a CHI flat iron, you should return to your stylist for this second step. 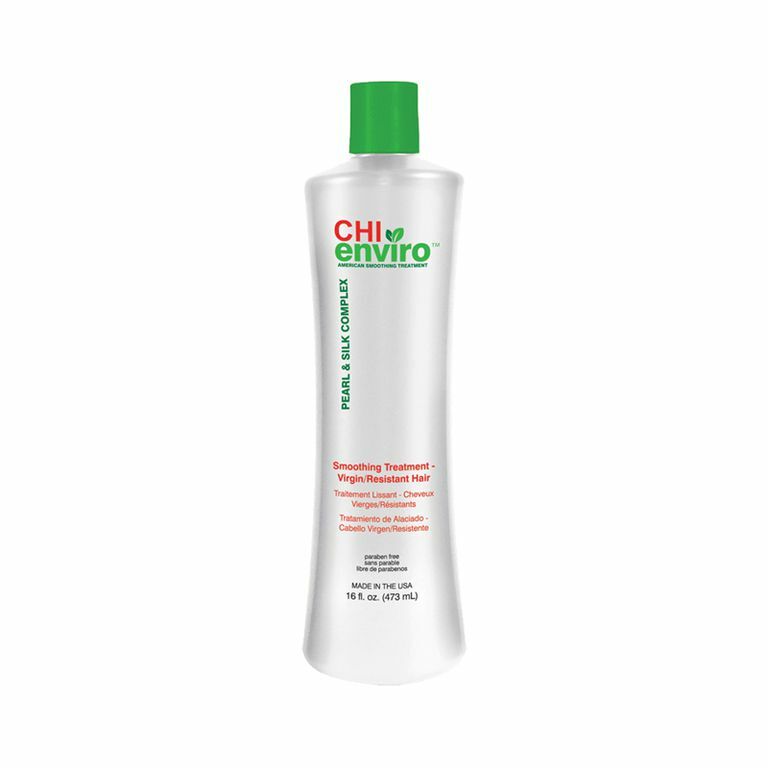 Twenty-four to 48 hours after the first part of the process, you or your stylist will shampoo and condition your hair with the CHI Enviro Smoothing Shampoo and Conditioner. Next, it's important to blow-dry and flat iron your hair with a CHI flat iron. Once this blowout is performed, odds are, you'll be pretty happy. Your hair should be significantly softer and shinier, and it should blow dry quicker, with noticeably less frizz, if any at all, and flat iron faster with fewer passes. Less drying and flat ironing means less damage, and more time to live your life. Maintaining the American Smoothing Treatment is as simple. It is recommended that the CHI Enviro Smoothing Shampoo, Conditioner, and Smoothing Serum be used on a regular basis post-treatment. Hair should be washed every other day at most to extend the results. Still, after your hair has been treated with the CHI Enviro American Smoothing Treatment you can color, highlight, and style your hair normally. However, it is recommended that ponytails, tight hair ties, clips, and pins be avoided for the first week post-treatment to avoid denting your hair. You can pull your hair back to wash your face, but not for any lengthy period of time. If a hair clip or tie does leave an unintentional dent in your hair, it can be easily repaired with a flat iron.